There may be times when you might want to use Google Chrome and do not wish to use the proxy settings for which you are bound to use in Internet Explorer because of your company policies. If you try to change proxy settings in Google Chrome, by default it will open the System Internet Properties dialogue box, and most of the times, change in proxy setting options is restricted by domain group policy. So here is an alternate way to remove or disable proxy settings in Google Chrome. 1. 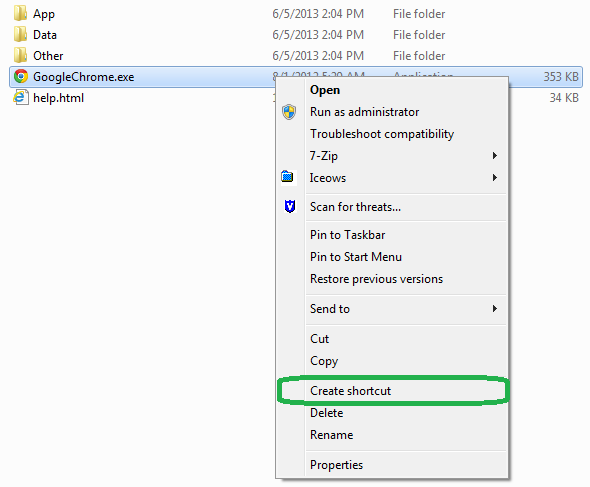 Right click the GoogleChrome.exe and create it's shortcut. 2. 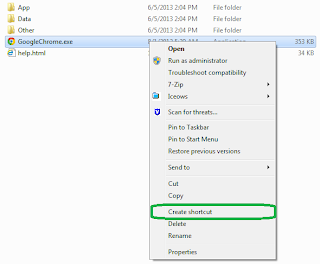 Open the properties of the shortcut of GoogleChrome.exe created in previous step. 3. Here you have to edit the Target of this shortcut. You have to add --proxy-server="" after the existing path. You are done. Now enjoy the web browsing without any restrictions.